- What the project was able to achieve in compliance with LEED credits criteria that was in line with the construction, social and economic culture of Jordan. 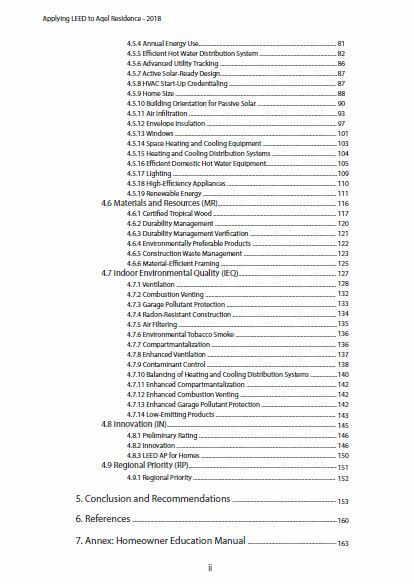 *Recommendations for LEED to accommodate for non-north American construction. *Recommendations for the Jordanian construction market to become more equipped to fully adopt green homes, according to LEED standards. The sixth section includes all the references of the book, and the final section contains the homeowner education manual as an annex. 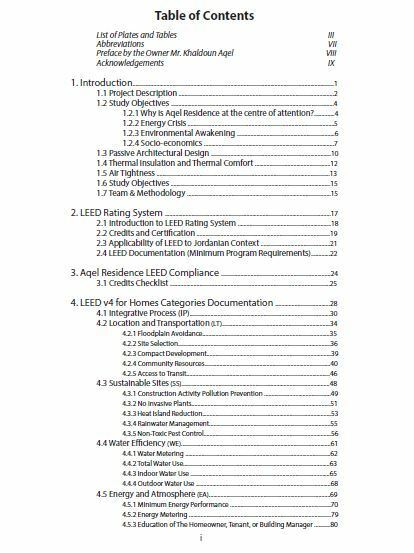 Since the intent of the book is educational in nature, it complements the theoretical with the practical justification to follow an acclimated LEED for Homes version to Jordan based on four year duration of documenting Aqel’s residence. All certified LEED buildings go through a relentless documentation and verification process to ensure LEED credits compliance, and usually such process is not ‘documented’ and transpired to other interested entities, as it becomes internalized and copyrighted to the consultant, owner and design team. 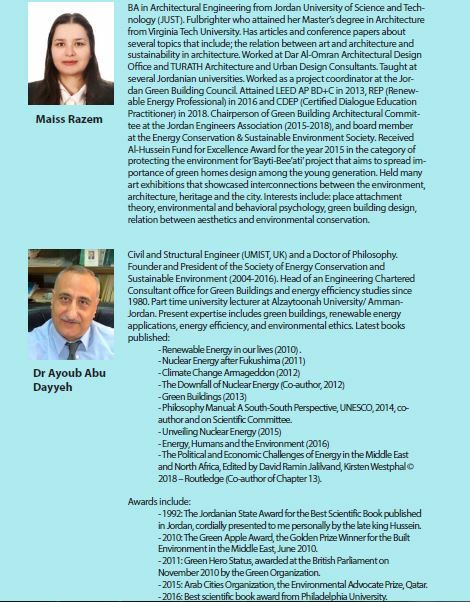 This book encompasses the authors’ analysis of challenges in the residential sector and opportunities of improvement to design greener homes in Jordan as an open source of shared knowledge to interested building sector stakeholders.